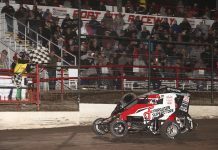 TORRANCE, Calif. — The Lucas Oil POWRi California Lightning Sprint Car Series has released the schedule for the 2019 season, which will see the series run under the POWRi banner for the first time. The racing calendar will be comprised of 17 dates on four different race tracks. The season will open at Bakersfield Speedway on March 16. The 26th consecutive season for the club will conclude eight months later on Nov. 23 at the same Kern County oval. Sandwiched in between the season opener and closer will be three other races at the longtime Oildale, Calif., track. The fifth-mile Ventura Raceway, located adjacent to the beach on the Ventura County Fairgrounds, will once again serve as the home track for the CLS with eight different race dates beginning on March 23. For the second year in a row the CLS will return to the track where it all began for the series back in 1994, the quarter-mile Barona Raceway. 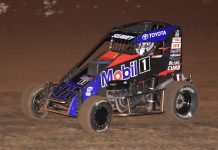 The first of three races at the San Diego County dirt oval will take place on April 6th. The fourth track on the circuit will be the third-mile Santa Maria Raceway. The CLS will make the trek there for one race on July 27. 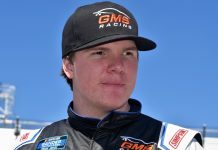 March 16, Bakersfield Speedway; March 25, Ventura Raceway; April 6, Barona Raceway; April 20, Bakersfield Speedway; May 4, Ventura Raceway; May 18, Barona Raceway; June 1, Ventura Raceway; June 15, Bakersfield Speedway; July 6, Ventura Raceway; July 27, Santa Maria Raceway; Aug. 10, Barona Raceway; Aug. 24, Ventura Raceway; Sept. 7, Ventura Raceway; Sept. 21, Bakersfield Speedway; Oct. 5, Ventura Raceway; Oct. 26, Ventura Raceway; Nov. 23, Bakersfield Speedway.